Carpal tunnel syndrome is an increasingly common side effect of modern life. Activities performed frequently or for extended periods that compress or irritate the median nerve (which runs from the forearm into the palm) can lead to carpal tunnel syndrome. Computer use, painting, driving, sewing, assembly line work, some sports, use of certain tools, playing some instruments, and other activities may cause problems over time. If you experience numbness or tingling in your fingers, occasional bouts of weakness in one or both hands, or radiating pain originating in your wrist, you might have carpal tunnel syndrome. The condition continues to get worse without intervention. Early recognition is essential to preventing permanent nerve damage and inhibited ability to use your hands. Non-steroidal anti-inflammatory drugs (NSAIDs) are the go-to treatment for mild to moderate carpal tunnel syndrome. While they ease pain and inflammation for a few hours, they do nothing to remedy the condition and they aren't safe for long-term use. They can cause ulcers, damage kidneys, prevent clotting, and have other harmful effects over time. Plus, they often cause stomach upset and other adverse effects. Then there's the long list of contraindications, including pregnancy, dozens of health conditions, and impending surgery. For moderate to severe carpal tunnel syndrome, corticosteroids like prednisolone are often prescribed. These too reduce pain and inflammation. Unfortunately, they have lengthier lists of side effects and contraindications than NSAIDs and they're even less safe for prolonged use. One major concern is they suppress the immune system, leaving you highly susceptible to all sorts of infections. Better to go the natural route. Natural remedies are just as good at reducing pain and inflammation. Acupuncture and other therapies are much safer short term and over the long haul, too. They also do more to beat the condition, addressing underlying causes and treating the body holistically, rather than just briefly suppressing symptoms. The first concern with carpal tunnel syndrome is stopping its progression. Identify activities that put stress on your hands and wrists. Sit up straight at the computer with the keyboard and mouse at elbow level and don't keep your wrists bent up or down. Avoid holding your wrists in a bent position during other activities, too. Limit the force you use when doing things with your hands; relax your grip and don't use your fingers more forcefully than necessary. Take frequent breaks during extended periods of actively using your hands. Acupuncture has clinically demonstrated its ability to manage carpal tunnel syndrome as effectively as prednisolone. It reduces localized swelling and inflammation, rapidly relieving discomfort and pain. But it also relieves pain and inflammation everywhere else. While carpal tunnel syndrome is fairly geographically limited, other body parts feel the effects of poor posture, repetitive motions, overexertion, and other contributing factors. Acupuncture even treats headaches, whether from physical dysfunction or stress. The therapy also addresses organ dysfunction and imbalances that contribute to and worsen carpal tunnel syndrome. I saw this great info-graphic and thought I would pass it along. It does a great job at illustrating information from more than 1500 studies on various supplements. It rates them using a scale ranging from promising to good to strong evidence, or from conflicting to slight to no evidence at all. The data was compiled around 2010 so there may be updated studies, but this is still worth a look. Remember that this graphic represents data from studies. Please know that studies are constructed a variety of different ways and that what may appear as worthless or what appears as promising often depends on what was being measured. This to say that some suppliments are always beneficial in the eye of the user – if they make you feel better! So you're experiencing some of those familiar but nebulous symptoms... fatigue, headaches, sleep disturbances, irritability, lightheaded sensations, dizziness, muscle weakness, chronic pain, loss of appetite, or maybe you seem more susceptible to illnesses lately. Go ahead, ask Dr. Google; I can wait. Eventually, you'll mention these problems to your doctor (doctors love nonspecific symptoms with nearly infinite causes). She'll run a few tests. Then she'll run a few more when you keep insisting something isn't right. Chances are, no satisfactory answer will turn up. Perhaps it's because mainstream doctors aren't too keen on diagnosing what you may be suffering from: adrenal fatigue. There is no definitive diagnostic tool or markers for the condition. Researchers have looked extensively at severe adrenal insufficiency—a condition called Addison's disease—and at the overactive adrenal glands of Cushing's disease. If your lab tests don't indicate a major adrenal malfunction, allopathic practitioners quickly move along to something else. The adrenal glands play a major role in stress management. Stress can take a serious physical and psychological toll, which your body knows. As stress builds, the adrenal glands work harder to protect you from its effects. Like good little workers, they step up hormone production to meet increasing demand. And, like workers pushed too hard, their stamina eventually maxes out. Consider your adrenal glands fatigued. While they don't get any vacation time, productivity wanes in the hormone factory. Suddenly, you're more vulnerable to the physiological and mental effects of stress. Basic biological processes aren't being regulated effectively. Your inflammatory response is more sensitive and more prone to overreact. You don't feel right anymore. Adrenal fatigue is treatable, and taking a variety of approaches promotes efficient recovery. Begin with dietary improvements. Opt for whole foods over processed foods, eating mostly whole grains, fruit and vegetables, lean proteins, and unsaturated fats. Limit sugar, sodium, trans fat, saturated fat, cholesterol, caffeine, and alcohol consumption. Get more exercise, especially the aerobic type. It reduces the effects of stress, assisting your adrenal glands in their monumental task. Balance the increase in physical activity with relaxation techniques to further cope with stress and to bring your adrenal glands to a restorative point. Try yoga, meditation, or deep breathing. Unwind before bed with something soothing, such as listening to music, reading, or doing a crossword puzzle. Shoot for eight hours of sleep nightly. Consult an herbalist or licensed Doctor of Oriental Medicine, who can prescribe a custom herbal or homeopathic formula to address your adrenal fatigue and other specific health problems. Ginseng, ginger, licorice, rehmannia, fenugreek, damiana, and ashwaganda are generally recommended options. Vitamins A, C, and E, along with B-complex vitamins and magnesium, are particularly beneficial nutrients for reversing adrenal fatigue. It's preferable to get them from whole foods, but if necessary, consider supplements. Massage therapy and acupuncture effectively combat adrenal fatigue, prompting and accelerating recovery. They restore you and prepare you to better handle subsequent stressors. Acupuncture focused on points associated with the kidneys boosts adrenal function. Treatments utilizing a combination of massage and acupuncture also promote healthy levels of cortisol (the stress hormone) and stimulate production of the “feel good hormones,” serotonin and dopamine. The combination practice relieves the effects of stress on the mind and body and enhances overall immune functions. I read a great piece on about how to strengthen and basically reboot four major systems of your body. Every day I work with people that have compromised organ systems, using acupuncture, biopuncture and more i help many people back to great health. Dr Oz has a nicely package here and it’s definitely worth having a look at and following his suggestions in addition to the exercise, acupuncture and massage that your already doing to stay balanced and healthy. Detox and revitalize your liver. A healthy diet rich in greens and lean protein allows your liver to do its job properly without being overrun by toxins. Dr Oz suggests #1 A morning elixir (daily), using ¼ cup warm water, juice of lemon wedge, 2 dashes of hot pepper sauce. Or Dr Oz suggestion #2 Eat 3 Cups of Bitter Greens or Cruciferous Vegetables Daily. Eating these plant foods daily will not only help restart your liver, but also make a difference in your overall health. Revitalize Your Heart; If you want to restart your body, the number-one organ you must take into consideration is your heart. Start taking 600mg DHA Omega-3 Supplement Daily. If You’re Over 40, Take Two 81mg Low-dose Aspirin Before Bedtime. Eat Two Servings of Soluble Fiber Daily. Soluble fiber found in foods such as oatmeal, apples, pears, citrus, beans, peas, carrots, quinoa and barley wicks bad cholesterol away from your arteries. Aim for two servings per day. To banish pain in your gut and restart your intestines, turn to prebiotics – Eat two-four servings per day. Prebiotics are the foods you need to eat in order to aid digestion of probiotics – the good bacteria found in foods such as Greek yogurt. Without prebiotics, the “bad” unwanted bacteria have an unfair advantage over probiotics and can cause a range of issues, including irritable bowel syndrome (IBS). If you’re reaching for a certain goal and think that that will make you happy, you need to reorder your priorities according to Shawn Achor. First you must me happy, then you’ll work better, create more, and have more energy. When you’re happy, Dopamine floods your brain to make you happier and it turns on the learning centers in your brain. When you find a way to become positive in the present, you can adapt to the world in a different way – free from stress of the reward only from success. Research on neuroplasticity—the ability of the brain to change even in adulthood—reveals that as you develop new habits, you rewire the brain. 3 Gratitudes. Write a sentence or two on three things that you are grateful for. Random act of kindness: Write a positive message to someone in your social support circle. Journaling: Take two minutes to describe in a journal the most meaningful experience of the past 24 hours. These simple steps have been proven to improve one’s outlook on life. Do this for 21 days and you can significantly reprogram your happy quotient. I love drinking green tea throughout the day and it has greatly helped me curb my reliance on coffee. Currently my green tea of choice is made by Tazo, it maybe not the best or most boutique blend but I really enjoy their ‘green tea and ginger blend’ at work and at home. My other choice has been various green and oolong teas from Teance in California (). Next to water tea is the most widely consumed beverage in the world. Join the crowd and receive amazing health benefits with green tea. This abbreviated information to follow is from a much more informative article in at Emedexpert (tips/greentea.shtml). Longevity: Green tea may protect one from cardiovascular disease. Japanese scientists analyzed data from a National Cohort Study with over 40,000 participants. Compared with participants who consumed less than 1 cup of green tea per day, those drinking 5 or more cups a day had a significantly lower risk of death from all causes, especially lower risk of dying from cardiovascular disease and stroke. Memory and learning: A benefit of regular green tea drinking is improved memory and learning ability. Drinking green tea drinking maintains cognitive function and green tea consumption may enhance learning and memory ability. Weight control: There is strong evidence that green tea has fat-burning properties and promotes weight loss, especially when combined with increased physical activity and a healthy diet. Green tea polyphenols are known to increase the metabolism of fats by the liver (thermogenic effect), inhibit lipase (fat absorption enzyme) in the digestive tract, and provide a feeling of satiety and fullness. Green tea can reduce body weight in obese persons by increasing energy expenditure and fat oxidation. Lowering cholesterol: Green tea lowers total cholesterol and LDL cholesterol levels and improves the ratio of HDL to LDL cholesterol. People who drink green tea daily have lower cholesterol levels than those who do not drink it. Diabetes and blood glucose levels: Green tea has been traditionally used to control blood sugar. Recent evidence also suggests it may help regulate the blood sugar and reduce the risk for type 2 diabetes. People who drink more than 6 cups per day are less likely to develop diabetes than those who drink less than 1 cup per week. Anti-hypertensive: Green tea lowers blood pressure and helps prevent hypertension. Tea increases body's production of nitric oxide, which dilates arteries and thereby reduces blood pressure. In Chinese medicine, there's a focus on balancing five elements: wood, fire, earth, metal and water. When you're at the top of your golf game, you're in the zen-zone also balancing numerous elements, like the course (comprised of earth, water, and wood), the club (made of metal), and your heart/mind/ego (represented by fire). Golfers and acupuncturists both try to balance, or work with the elements, to achieve a positive outcome. It's a parallel I've always found intriguing. I see many golfers in my practice as an acupuncturist and massage therapist. My patients and I have developed a deep respect for acupuncture's ability to improve a person's golf game, minimize injuries, and aid in recovery from golf-related pain and inflammation. As any practiced golfer knows, a calm body and mind is essential to a great game on the links. You need unencumbered focus and control. Tension, anxiety, stress, and other emotional distractions interfere with concentration and your connection to the ball through your clubs. Acupuncture significantly reduces such emotional and psychological disruptions. By better balancing the five elements within you, you achieve more mastery over them in the world around you. Acupuncture loosens you up physically, too. The needles enhance the flow of energy, or qi, through your body. Circulation and oxygenation improve, too, while inflammation and tightness decrease. As a result, you enjoy smoother, more powerful strokes—the most coveted form of improvement to anyone's golf game. Golf is a low-impact sport (until a bad swing hits the ground, that is) and it's generally perceived as low-risk. But with the average golfer playing 37 rounds per year and practicing even more, according to the American Orthopaedic Society for Sports Medicine (AOSSM), there are dangers for acute and chronic problems, particularly from strained muscles, inflammation, and repetitive motions. By going into your game more mentally relaxed and physically looser, you're less likely to be injured while playing. Acupuncture promotes a more limber physique. While it's not a substitute for a stretching regimen and warming up, the therapy similarly reduces the risks of pulled muscles, strains, and sprains. Acupuncture is also great for tending to injuries common to the course. If you experience strains, sprains, or other muscular problems, acupuncture is a proven treatment for associated symptoms. Depending on the circumstances a treatment combines acupuncture with massage and perhaps a homeopathic biopuncture injection or herbal remedy. Lately I’ve been spending more time combining acupuncture and stretching for my golf patients. These tools and techniques facilitate healing and help strengthen affected areas to prevent subsequent reinjury. Golfers are prone to a variety of other problems. Lower back pain is the most prevalent complaint among professionals and amateurs alike, notes AOSSM, followed by elbow, shoulder, and wrist injuries and pain. Like tennis elbow, golfer's elbow is a specific, recognized condition; the two are similar, but tennis elbow tends to affect the outside of the elbow, while the golfer's version usually causes pain on the inside. Acupuncture is an effective treatment for all these types of pain and for reducing underlying inflammation. In a new study published in the Archives of Internal Medicine in September, 2012, acupuncture outperformed placebo and standard treatments for chronic back, shoulder, and neck pain. This is just the latest scientific confirmation of what practitioners have known for thousands of years. Maybe you've gone in for massage therapy, left feeling great, but then woke the next morning wondering where all that feel-good went. Or, maybe you've sought relief from an acupuncturist and had to wait and wait over the course of multiple visits for it to arrive. These experiences aren't uncommon. Many massage practitioners focus on sites of complaint, but fail to treat correlating areas and underlying problems. And there are acupuncturists who focus entirely on organ dysfunction and energy flow (called “qi,” pronounced “chee”). They insert their needles and leave you lying there feeling like a human pin cushion without ever laying a hand on you for healing manual therapy. Massage alone does quite a bit. It stretches tight muscles, improves circulation, lowers blood pressure, eliminates stiffness, treats pain, provides a boost to the immune system, relieves stress and tension, chases away anxiety, and relaxes the body and mind. Its physicality is important, too; it supplies the caring, comforting human contact we crave and that offers so much benefit to our mood and outlook. Acupuncture is more controversial to Westerners, being based on an Eastern concept of wellness. Still, Western medical science attributes to it a number of potential benefits. Some include relief from stress, anxiety, chronic pain, headaches and migraines, heartburn and other digestive discomfort, fibromyalgia, nausea and vomiting, the effects of radiation, insomnia, menstrual symptoms, osteoarthritis, and dental pain; it can also aid with weight loss and boost the efficacy of pharmaceuticals, thus allowing for lower or less frequent doses. To Easterners, and to many in our hemisphere who've tried acupuncture, the accepted benefits are more numerous. A singular approach to fixing a complex problem is bound to have shortcomings. And make no mistake about it: chronic pain and other symptoms people struggle with daily are complex problems. Your doctor may say it's as simple as popping a pill every day, but more often than not, it's only suppressing symptoms (while replacing them with new ones in the form of side effects), and not treating anything. I turned to a combination of two healing arts and have found great success. Massage therapy and acupuncture work wonders when used in a complementary fashion. Each offers something that's lacking in the other. Massage provides firm muscular work and the healing touch; acupuncture corrects qi and organ dysfunction while triggering endorphins and the anti-inflammatory response. By employing both therapies, the individual benefits of each are conferred, but relief is more enduring. That's because immediate symptoms and underlying problems are remedied together. In conjunction, the techniques also create a synergy that magnifies their powers to relax, relieve, and heal. Plus, there's a greater flexibility in administering a combination treatment, allowing me to tailor therapeutic measures to individual needs. Each patient I see has unique problems coming from unique circumstances. The ability to correct constitutional and organ problems with the insertion of needles and to manually work on muscles makes my treatments highly adaptable and effective. If you live in the Orlando area and want to hear more about how the combination of acupuncture and massage therapy can change your life for the better, I'm happy to speak with you. Back pain, headaches, other chronic pain, insomnia, anxiety, excess weight, and other daily suffering can be a thing of the past. Treatments also help manage a variety of chronic disorders. You'll be surprised how powerful and effective these ancient natural healing arts are. I recently wrote about chronic tension headaches, the most prevalent type of persistent headaches. Now I'd like to cover the most infamous: migraines. They affect about 30 million Americans and are more than twice as common in females. Nobody knows exactly what causes migraines. Where management is concerned, what matters is knowing your triggers. The most common include too little sleep, stress, dehydration, skipping meals, prolonged exposure to bright lights or loud noises, strong odors, allergies, the menstrual cycle, drastic changes in atmospheric conditions, high blood pressure, low blood glucose levels, aspartame, MSG, nitrates, chocolate, nuts, food containing tyramine, alcohol, caffeine (intake or withdrawal), nutritional deficiencies, and smoking. Migraines are different for individual sufferers. The frequency, duration, severity, and symptoms vary. After you've gone through it a few times, you'll be attuned to early symptoms and familiar with the headache's course. That's not to say migraines are the same each time, but they tend to be pretty consistent on an individual basis. If you have migraines with auras, you get preliminary symptoms. They generally begin about 15 minutes before the headache, but can appear anywhere from 24 hours to a few minutes beforehand. They serve as warning signs and permit early intervention. You may see flashing lights or bright lines or spots, develop a blind spot or blurry vision, lose peripheral vision, become mentally foggy, feel tingling or numbness in your face, have eye pain, or experience sensory disturbances. Not everyone has aura symptoms. The headaches themselves usually produce a throbbing or pounding sensation. They tend to begin as a dull ache and gradually worsen, be more painful on one side of the head, and last from 6 to 48 hours. Chills, fatigue, nausea, vomiting, numbness or tingling, difficulty concentrating, sensitivity to light and sound, perspiration, and eye or neck pain are other telltale signs. There isn't a cure for migraines, so prevention is key. Avoiding personal triggers is essential to management. The best way to figure yours out is to keep a headache diary. When you sense a migraine coming on, write down the date, time of day, what you were doing, everything you've eaten and drank in the past 24 hours, and where you are in your menstrual cycle. Over time, a pattern or common denominator should emerge. Show your headache journal to your doctor for help. If you choose to use medications, many are available. They can cause significant side effects, though, and rebound headaches, brought on by use and cessation of pain medications, are a concern. Migraine medications have a number of contraindications, too, such as people with ulcers or heart problems and pregnant and nursing women. Feverfew and butterbur extract are effective herbal preventives, though they're not known for stopping migraines once they've begun. Some people find aromatherapy useful for treating the pain. Try peppermint and lavender first; if neither works, try eucalyptus, rosemary, sandalwood, or basil. There's also an acupressure point to use: firmly squeeze and press in on the skin between the thumb and forefinger. Biofeedback and a regular sleep routine providing 6 to 8 hours of sleep are beneficial, too. Massage therapy and acupuncture are great tools for managing migraines, reducing their frequency, duration, and severity. They even reduce reliance on pain medications. Acupuncture and massage help eliminate triggers contributing to migraines headaches. They relieve stress and anxiety, loosen muscles, enhance circulation, promote better sleep, reduce inflammation, balance energy, and otherwise boost your health and resilience. If you thought acupuncture was your only opportunity to get stuck with a bunch of needles, I've got good news: biopuncture, a relatively recent development in the alternative and complementary medicine field, is another option to consider if you suffer from certain types of chronic pain. Traumeel is a highly effective homeopathic solution commonly used in biopuncture. Biopuncture is the injection of homeopathic formulas into pain sites. Its purpose is to reduce inflammation and related suffering. It was developed by Jan Kersschot, MD, a family physician in Belgium. He coined the term “biopuncture” in 1991, and the practice came to the US in 2008. It's worth noting that biopuncture injections aren't made at the same sites used in acupuncture. In acupuncture, needles are inserted along meridians to improve the flow of natural energy to bolster health and address underlying causes of bodily dysfunction; in biopuncture, injections are typically made directly into inflamed tissue, trigger points, or knotted muscles. What Conditions Benefit from Biopuncture with Traumeel? Biopuncture with Traumeel is great for treating inflammatory discomfort and pain. It works well with the presence of acute trauma. For example, it helps eliminate pain, inflammation, and fluid retention around surgical sites, fractures, sprains, contusions, lacerations, periostitis and similar complications seen with infections, and other injuries. Traumeel is also effective in treating aggravation from repetitive motions or overuse injuries. Athletes find it beneficial for sports injuries, and inflammatory conditions such as tendonitis, bursitis, and epicondylitis can be well-managed with Traumeel biopuncture. Minor pain in patients with osteoarthritis, rheumatoid arthritis, gouty arthritis, and ankylosing spondylitis, as well as many backaches, shoulder aches, and other forms of muscular soreness, can also be remedied with this therapy. Is Biopuncture with Traumeel Safe? Traumeel is definitely a safe pain remedy. Its only contraindication is in those who are allergic to any of its ingredients. It is generally well-tolerated and side effects are extremely uncommon. In addition, Traumeel is not known to cause any potentially dangerous interactions with other medications or supplements. Symptoms are unlikely to be seen in the event of an overdose, too. Its safety—especially as compared to non-steroidal anti-inflammatory drugs (NSAIDs), corticosteroids, and other medications for pain and inflammation—is one of the most compelling reasons to try biopuncture with Traumeel in your search for chronic pain relief. Acupuncture, massage and nutrition can help your injuries heal faster. I see many people each week with both new and old injuries ranging from pulled muscles, post surgery recovery and more. Here is a little info about how your body reacts to injury and ways that you can help speed the healing process. Where vitamins are concerned, A and C are the biggies for injury healing. Dark green and orange fruits and vegetables are rich sources. Eat foods like spinach, kale, and other leafy vegetables, along with carrots, sweet potatoes, pumpkin and other orange squashes, mangoes, peaches, apricots, cantaloupe, and papaya. Milk and eggs are also good sources. Vitamin C is readily available from most of these foods, as well as berries, citrus fruits, bell peppers, tomatoes, broccoli, and many other fruits and vegetables. Zinc and copper are two minerals strongly tied to injury healing. Both are readily available from many dark green leafy vegetables, nuts, and seeds. Scallops and other seafood also provide both of these important minerals. Balance saturated fat intake with monounsaturated and polyunsaturated fats. Doing so promotes efficient healing and helps control inflammation. Eat fatty fish like salmon, tuna, and mackerel. Nuts, seeds, and vegetable oils also provide unsaturated fats. However, too much vegetable oil can supply an unhealthy ratio of omega-6 to omega-3 fatty acids. If you don't eat much fish, fish oil is a smart supplement. Of course, the other essential vitamins and minerals play parts in injury healing, too. A well-balanced diet is important; where dietary intake is inadequate, consider supplementing. Other nutrients, herbs, and supplements noted for their ability to promote natural healing include protein, bromelain, glucosamine, turmeric, garlic, flavonoids (antioxidants found in teas, red wine, cocoa, berries, and elsewhere), and Boswellia. Circulation is a primary factor in injury healing. Oxygenation and nutrient delivery to the site of injury via the blood is needed for the restorative process. That's why people with diabetes, arterial or venous insufficiency, claudication, and other conditions marked by poor circulation are prone to chronically non-healing wounds. There are plenty of ways to improve circulation on your own; for starters, quit smoking, exercise regularly, and manage your cholesterol. When these measures are insufficient, when your injury is significant, or when you just want to heal faster, call in some professional help to boost your circulation. Massage therapy and acupuncture are both great ways to naturally accomplish the goal. Acupuncture also stimulates key meridian points associated with injury healing. 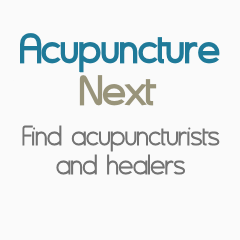 Acupuncture supports various organ systems that each are in control of different physiological functions relating to blood, connective tissues, immunity, muscle and more. The benefits don't stop there, though. The practice reduces inflammation and associated pain, and because it speeds healing, it can minimize scarring. Both massage and acupuncture help you physically and mentally decompress, too, bringing about a calmer and more well-balanced state that is conducive to natural healing. Headaches... it seems everyone gets them, and that lasting relief is hard to find. Acupuncture has a long and proven history at alleviating headaches and greatly reducing their intensity and frequency. The most common headaches I see in my office are called tension headaches, or—more correctly—tension-type headaches. The powers that be stuck the “type” in after realizing tension headaches aren't necessarily caused by tension and muscle contractions. Up to 78 percent of us suffer from tension headaches, according to the University of Maryland Medical Center. The generally accepted benchmark for “chronic” is getting headaches 15 or more days per month for at least several months. Identifying personal triggers is key to managing tension headaches. Keep a headache journal, noting when pain starts and stops, what you were doing when it began, and what you recently ate. Sometimes, avoiding triggers is enough to prevent headaches. Unfortunately, eliminating chronic tension headaches isn't usually so simple. There are plenty of natural, healthful steps to take instead of going for a pharmacological solution. Start with general positive lifestyle improvements. Get enough sleep, quit smoking if applicable (if you’re having trouble with either of these - acupuncture and herbal solutions can help), stick to whole foods, and get cardiovascular exercise daily. Also, talk to me or another or other qualified practitioner about improving your posture and beneficial neck stretches. Relaxation techniques loosen you up and reduce stress and anxiety. Meditation, yoga, qigong, t'ai chi, deep breathing, biofeedback... pick your pleasure. I find incorporating massage in each treatment helps beat the recurring pain, too. Upper body massage work significantly reduces the frequency of tension headaches and tends to shorten those that occur. Herbal remedies work well for many individuals. Topical peppermint oil or tiger balm are often used. Feverfew and butterbur are also worth trying. Chinese formulas work to alleviate the pain and treat the underlying condition that is causing the pain. Homeopathic treatments are great for chronic tension headaches, I sometimes prescribe belladonna, bryonia, gelsemium, ignatia, iris versicolor, lachesis, nux vomica, pulsatilla, sanguinaria, spigelia, or another homeopathic remedy may be appropriate for you. Acupuncture provides excellent results; it relieves tension, anxiety, and stress. It also soothes inflammation and addresses the underlying issues of chronic tension-type headaches. Acupuncture also resolves deep-seated problems to enhance wellness. Where the pain is focused (and even the time of day it occurs) can also gives the practitioner a clue as to which organ systems may need attention. For example if your pain is located on your temples or on the crown of your head this directs me to different causes of your pain. Often a headache treatment’s focus is on meridians associated with the kidneys, liver, and gallbladder (but not always). Buy understanding root cause, acupuncture practitioners and using Chinese Medicine theories can provide a level of relief that would otherwise be very difficult to achieve.